Open access (OA) refers to scholarly content which is made freely available through the Internet. It removes barriers to access and reuse. Open access works on the premise that publicly funded research should be publicly available. Open access not only benefits you as a researcher, but also benefits many other people including those beyond the traditional scholarly communications ecosystem, such as practitioners, journalists and the general public. There are two dominant open access models: green and gold. In Gold open access publishing the publisher makes the article available on its website. Gold open access publishing usually involves a fee called an article processing charge (APC). APCs vary widely between publishers and journals. A newer, less common, form of open access publishing (called Platinum or Diamond) has either no or a minimal processing charge. If you wish to make your work open access through the Gold model, you will need to arrange payment of the article processing charge (APC). Please note that the Library is not funded to pay APCs for Massey University researchers. In the Green open access model, the author(s) archive their work in either an open access subject repository or an institutional repository (e.g. Massey Research Online or MRO). Massey Research Online (MRO) is Massey University’s open access repository containing the scholarship of Massey staff as well as theses from Massey’s higher research degree students. You can deposit your research publications via Massey’s publications management tool, Symplectic Elements. Massey University has no policy mandating deposit with the University of full text files with outputs. However, if you have received funding from an external source, the contract may require you to comply with open access conditions. Creative Commons is a non-profit organisation with strong ties to the open access movement. Creative Commons provides free and easy-to-use licences that help people share their copyright works for reuse by others, on terms the authors choose. The licenses are legally robust, and work within the boundaries of copyright law. Authors retain copyright while allowing others to copy, distribute, and make some uses of their work. Authors also get the credit for their work because attribution is a requirement under all the licenses. Six Creative Commons licences mix and match the points listed above. 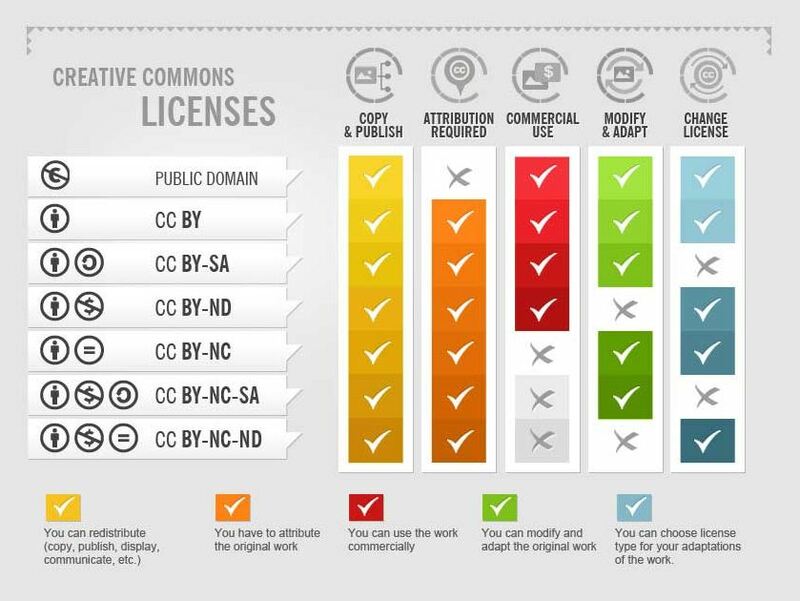 Creative Commons provides a tool that helps you select the appropriate licence. The seventh ‘licence’ in the diagram – Public Domain – is for material that the author or copyright holder wishes to be in the public domain with no copyright restrictions at all. For more information visit the Creative Commons FAQs.